daily or 4 hour charts. bottom of your chart which looks like the picture below. must be checked before it can even be considered a trade setup. is invalid. Below is an example of entries with an up trend. is closed so never jump in early. different candle formations but I only take note of the following 3 formations. first candle would be green followed by a red candle that completely engulfs it. see these formations after a strong move. it is acceptable within few pips. which is a great indication that the market could be changing direction. Management position to see the previous examples. 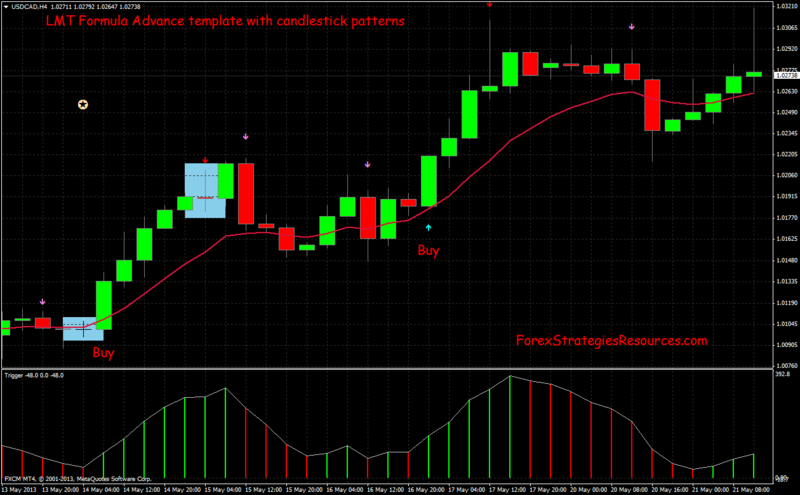 LMT Formula Forex: Indicators and template.